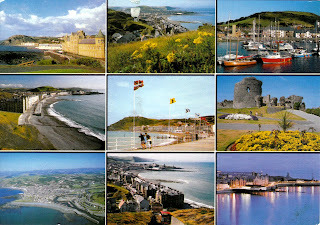 Postcrosser David sent these greetings from the "beautiful seaside town" of Aberystwyth in Wales, where he studies history at the local university. This was in the mail today, from friend Lynn in Arkansas. Good timing. 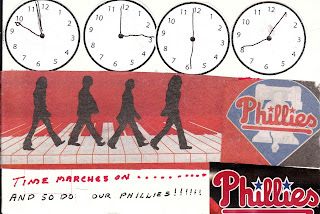 She's a Mets fan and wrote that her husband, a Yankee fan, was watching the World Series and rooting for the Phillies. Last night they won it all! 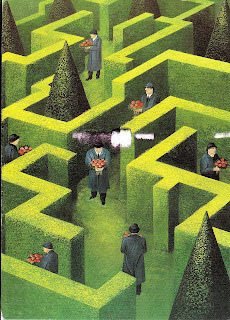 A Finnish postcrosser sent this amusing labyrinth with the jazzy stamp above. 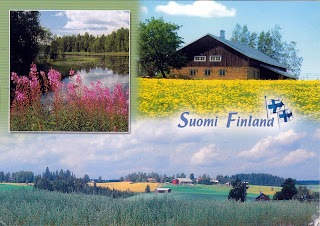 Two new stamps: the pretty flowers are from Austria and the cool flag from Finland. 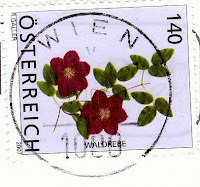 The Austrian postcrosser who sent this card wrote that the US elections are much in the news. Her choice for president: Hillary Clinton. Second that! 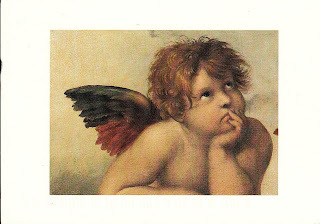 A Finnish postcrosser, who works in a bakery (already sounds yummy) sent this card showing a detail from the famed Sistine Madonna. Two cool stamps, one from the Netherlands and one from the US. 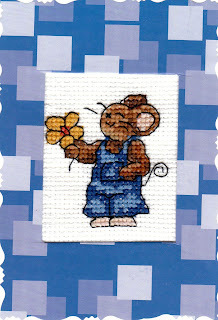 Dutch postcrosser Marion sent this sweet handstitched card. Thanks! 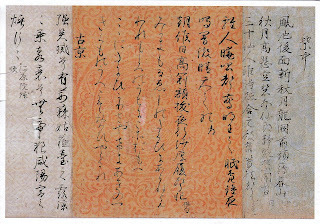 Tokyo friend Keiko sent this example of calligraphy from the Heian Period. The card commemorates the 1000th anniversary of the Tale of Genji. 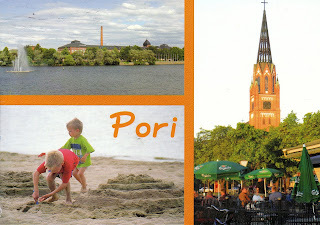 A Finnish postcrosser sent these greetings from Pori, the site each summer of the world's second-largest jazz festival. When it comes to jazz, she writes, "Pori is Finland's New Orleans." More interesting stamps, from Canada, Slovenia, and Turkey. The guide dog stamp at top is also in Braille. 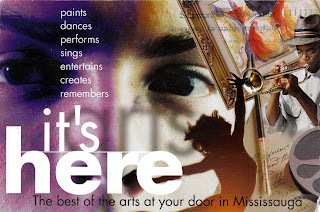 A Canadian postcrosser went for a welcome difference with this advertisement for the arts. 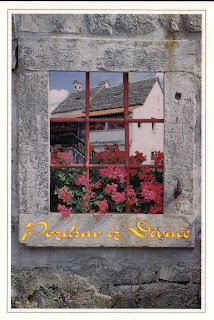 This 'inside-out' kind of card came from a Slovenian postcrosser. 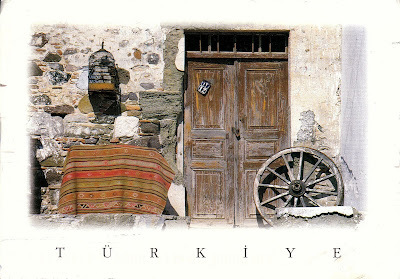 An American postcrosser living in Turkey sent this view of a traditional Anatolian village house. Mrs. October went for the fences with her two latest cards. 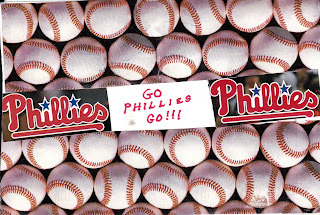 Go, Phillies! Thanks to Mrs. October for these happy faces. 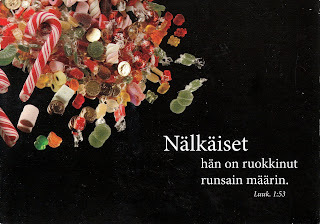 This card, sent by Finnish postcrosser Terica, reminds me of a favorite saying: If if's and but's were candies and nuts, we'd all have a happy Christmas. I received this amazing drawing from 17-year old postcrosser,Vilmante, of Lithuania. 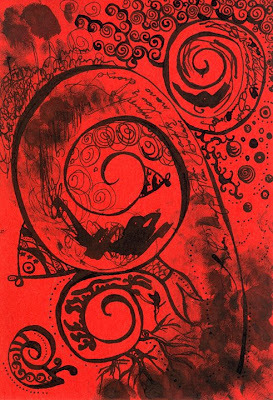 I love the gorgeous swirls and the use of blotted ink. Thanks so much for this lovely card!! 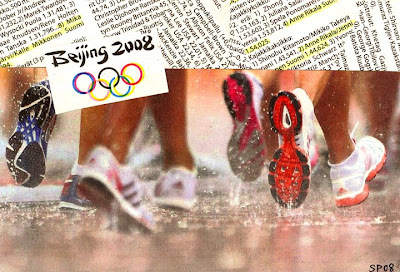 Finnish postcrosser Suvi made this wonderful collage card related to the 2008 Olympics from pages of her Finnish newspaper, Etela-Saimaa. I love the half-butterfly stamp on the envelope too! 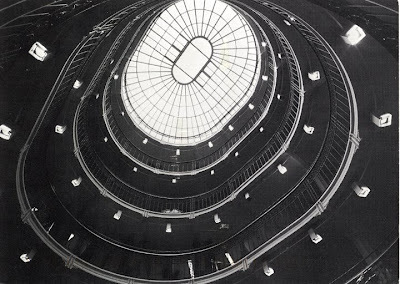 A Finnish postcrosser sent this amazing card of the Helsinki University library rotunda. 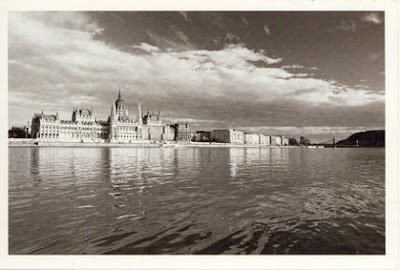 My friend mailed a lovely postcard with a stunning view of the Parliament building in Budapest. 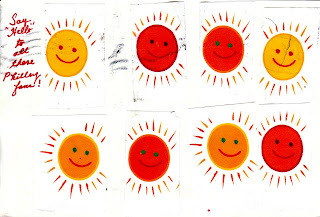 A bright, sunny postcard from postcrosser, Lenka of the Czech Republic. I love the buildings circling the big building in the middle. 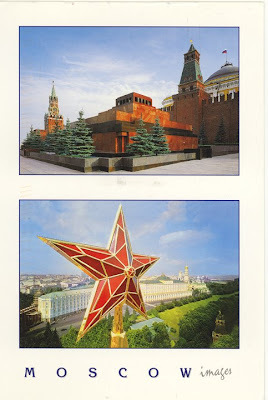 A cool postcard of the Red Square from Victor in Moscow. 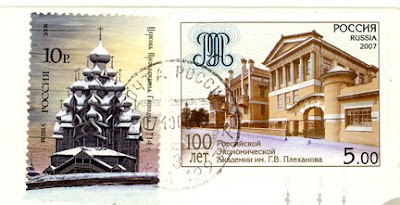 Thanks too for the neat stamps of Russian buildings. 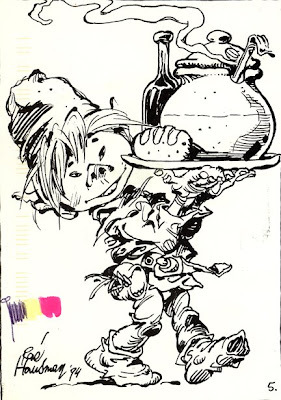 Guy, a Belgian postcrosser sent this impish drawing by Rene Hausman. 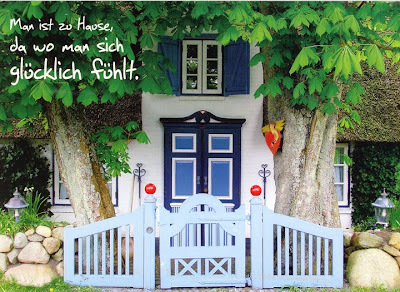 The card says, "Your house is where you feel happy." Thanks for this cheerful card, Bianca! Two interesting stamps, the top one from Germany and the bottom from Australia. 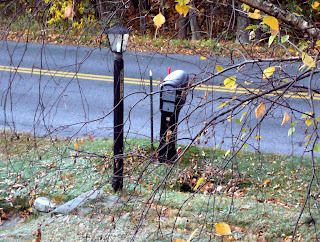 All that shiny white stuff on top of the mailbox is heavy frost. 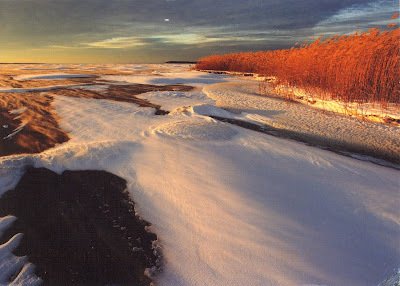 This morning we had our first hard frost and freeze of the season. Time for oatmeal! 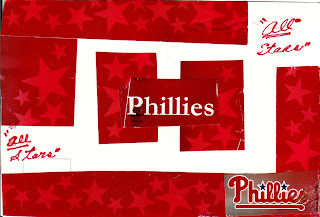 For Fan Appreciation Day last month, the Phillies handed out cool packets of souvenir postcards. 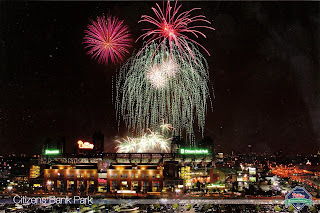 The top card shows Citizens Bank Park, which has hosted more than 15 million fans since opening in 2004. It's a great place to see a ballgame. It's known, too, for its food, which includes a creative selection of vegetarian food. 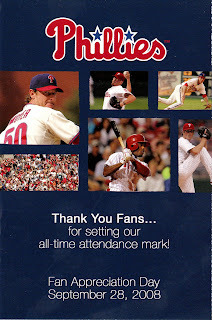 The bottom card commemorates the all-time season attendance mark this year at 3,422,583. New single-game attendance marks have already been set here in Red October. 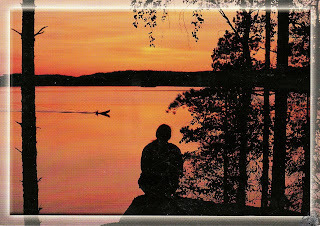 Seija, another postcrosser from Finland, sent this card showing her favorite view in summer, in moonlight. 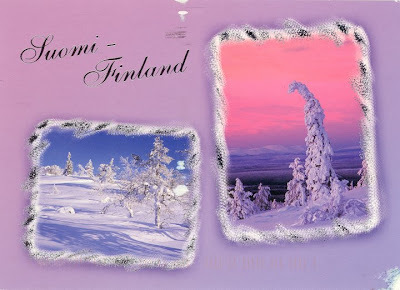 Finnish postcrosser Irma used this card to announce the birth of her granddaughter, just a week old when the card was sent. Congratulations! 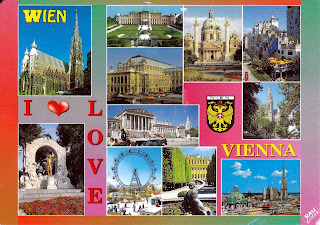 German postcrosser Birthe sent this wonderful watercolor card. 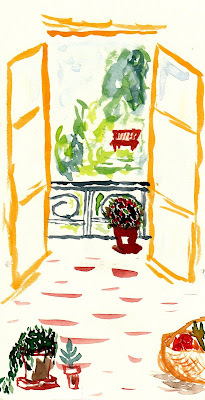 She wrote that she started painting a few months ago and this is the first card she created herself. Many thanks! 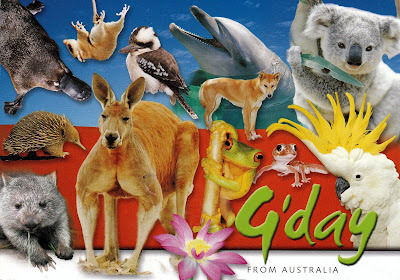 Katy, a postcrosser from Australia, sent this cool greeting. She's a graphic artist with a blog called What Katy Did. A friend sent this card during his recent trip to Istanbul. 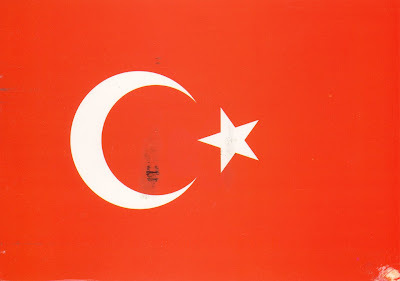 I've always liked the moon/star design of Turkey's flag. 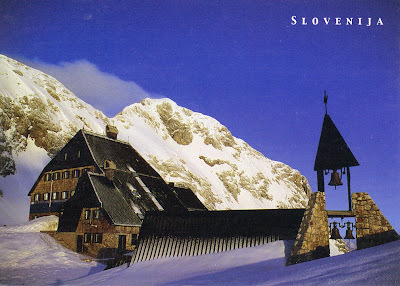 A cool card from a postcrosser in Lithuania. 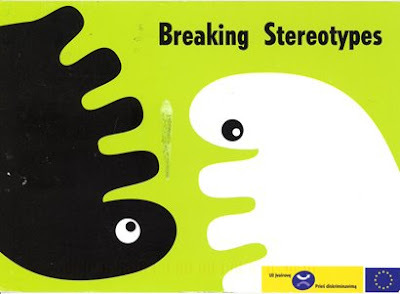 This card was sent after the postcrosser participated in a campaign against discrimination. 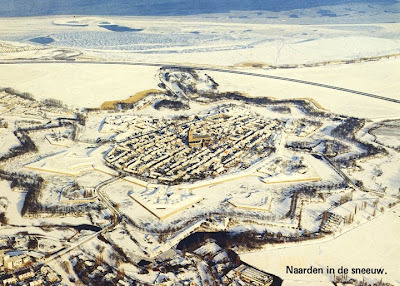 A stunning ice card from an Estonian postcrosser. Thanks too for the lovely Olympic stamp! 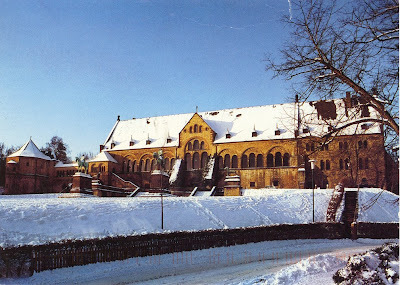 Estonia has won 76 Olympic medals including 2 from the Beijing Games. What Can Brown Do 4 U? Mail Box Mail Box Bring Me Some Mail! This blog was shared with my good friend Jacqueline. 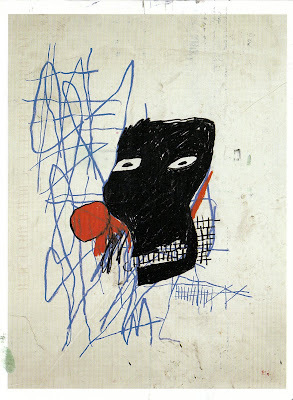 She passed away on October 21, 2011. 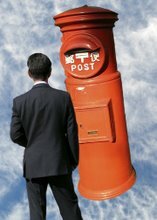 Little Red Mail Box lives on to honor our friendship and mutual love of sending and receiving mail.